Valentine Brousse and colleagues’ Clinical Review , gives doctors little guidance for patient management. “Serjeant’s and my combined experience of 80 years covering thousands of patients in sickle cell crisis” can help. .
Graham Serjeant’s Jamaican experience  and my Ghanaian  differ from NICE’s Guidance  in UK where patients died from Morphine/Diamorphine overdose. [6 7] We managed sickle cell disease (scd) patients to university without Morphine/Diamorphine, Hydroxyuurea, or regular transfusions. Our experience (References 1965 to 2014} could save UK patients. 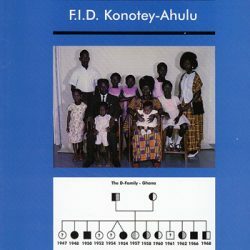 (1) Two brothers and one sister suffered from scd “Hereditary Rheumatism” traced back to 1670 AD www.konotey-ahulu.com/images/generation.jpg [9-11]. Siblings’ commonest cause of sickle cell crises characterized by convulsions and priapism [9 10] was Malaria. One brother had ‘gnathopathy’, my invented word for maxillary marrow hyperactivity [10 12 13 14]. (3) Haematologist Helen Ranney published “There is no single clinical experience in the United States comparable to that of Dr Konotey-Ahulu” . (4) Receiving with Linus Pauling and others “Martin Luther King Jr Foundation Award for Outstanding Research in Sickle Cell Anaemia” my Keynote Address “Difference between Sickle Cell Disease and Sickle Cell Trait” that exposed fraud of Insurance Companies led to being given 4 bodyguards in Philadelphia. By saying Sickle Cell Trait was “largely asymptomatic”  Brousse et al repeated Insurance Companies’ misinformation/disinformation [18-21] used to levy Traits 150% Premium. “In Jamaican experience morphia or its derivatives are rarely used or necessary”  and “the most painful crises may be treated in a day centre, the patient returning home in the evening” . See more of Serjeant’s publications from 1968 [23-38]. (1) KEEP A DIARY! Circumstances [10 39], some patient-specific, precipitate crises eg Ghanaian scd man had sickle crisis on eating oranges . Would Grousse et al start Hydroxyurea  after twice eating oranges? (2) ALWAYS CARRY UMBRELLA. One rain-soaked scd boy got sickle crisis and stroke . Trans-cranial Doppler  better prophylactic than raincoat? Hot weather too causes sickle crisis . (3) NOSE PICKING causes Epistaxis [39 45]. (4) VALSALVA MANOEUVRE: In 18 causes of ocular bleeds  “six were related to sneezing, blowing nose, shouting, bending down, lifting heavy objects, and vigorous exercise” . Avoid Valsalva in labour; Caesarian Section advised. (8) PRE-SURGERY PARTIAL EXCHANGE TRANSFUSION (Bedside method) . WHAT CHOICE FOR UK CLINICIANS? NCEPOD discovered “9 out of 19 patients with sickle cell disease who had pain on admission and who then died had been given excessive doses of opiods” [6 7]. Yet NICE still recommends “a strong opiod intravenously” . But Why? [2 4 10 48 75-87]. Patients complain to BMJ [88-90]. 9 Konotey-Ahulu FID. Pattern of Sickle Cell Disease in Ghana (A Study Of 1,550 Consecutive Patients) – A Thesis Presented For The Degree of Doctor of Medicine (M.D.) In The University Of London 1971 Awarded Feb 1972. 11 Konotey-Ahulu FID. 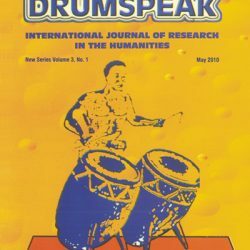 Sickle Cell Disease In Successive Ghanaian Generations For Three Centuries (Manya Krobo Tribe) In The Human Genome Diversity Project: Cogitations of An African Native. Politics and The Life Sciences (PLS) 1999; Vol 18: No 2, pp 317-322. 12 Konotey-Ahulu FID. Effect of environment on sickle cell disease in West Africa; epidemiologic and clinical considerations. 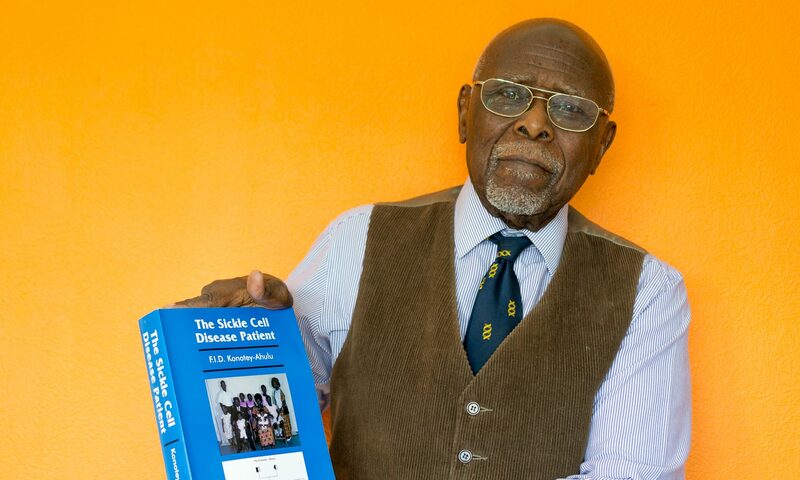 Chapter 3 in SICKLE CELL DISEASE – diagnosis, management, education and research. Eds Ahramson, Bertles JF, Wethers Doris L; St Louis – CV Mosby Co 1973, pp 20-38. 17 Konotey-Ahulu FID. Four bodyguards and the perils of unmasking scientific truths www.bmj.com/cgi/reprint/335/7612/210.pdf BMJ 2007; 335: 210-11 BMJ July28 2007. 22 Boyo Alex E, Cabannes R, Conley CR, Lehmann H, Luzzatto L, Milner PF, Ringelhann B, Weatherall DJ, Barrai I, Konotey-Ahulu FID, Motulsky AG. WHO (Geneva) Scientific Group on Treatment of Haemoglobinopathies and Allied Disorders. (Technical Report) 1972; 509: 83 pages. 23 Serjeant GR. Sickle Cell Disease. 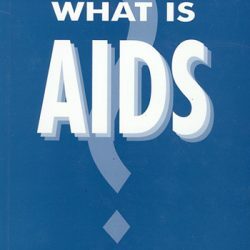 Oxford, Oxford University Press, 1985. 24 Serjeant GR. Sickle cell disease. Lancet 1997; 35: 725-730. 26 Serjeant GR, Serjeant BE, Milner PF. The irreversibly sickle cell: a determinant for haemolysis in sickle cell anaemia. Br J Haematol 1969; 17: 527-533. 28 Serjeant GR. The clinical picture of sickle cell anaemia in Jamaica. MD Thesis, University of Cambridge, 1971. 29 Serjeant GR, Ashcroft. Shortening of the digits in sickle cell anaemia. A sequel of the hand-foot syndrome. Trop Gegraph Med 1971; 23: 341-346. 32 Serjeant GR, et al. The clinical features of haemoglobin SC disease in Jamaica. Brit J Haematolol 1973; 24: 491-500. 33 Serjeant GR et al. Screening of cord blood for the detection of sickle cell disease in Jamaica. Clim Chem 1974; 20: 666-69. 35 Serjeant GR. Sickle Cell Disease, 2nd Ed. Oxford, Oxf Univ Press, 1992. 36 Serjeant GR, De Ceulaer C, Lethbridge R, et al. The painful crisis of homozygous sickle cell disease. Br J Haematol 1994; 87: 586-591. 37 Serjeant GR, Serjeant B. Sickle Cell Disease, 3rd Ed, Oxford, OUP, 2001. 38 Serjeant GR. Blood transfusion in sickle cell disease. A cautionary tale. Lancet 2003; 361: 1659-60 [Graham Serjeant’s adult not-transfused patient in Jamaica went on holiday in USA, was transfused and died!]. 41 Konotey-Ahulu FID, Kuma Eunice. Skeletal crumbling in sickle cell anaemia complicated by Salmonella typhi infection. Brit J Clin Practice 1965; 19: 575-578. 52 The Globe and Mail, Toronto. Tough flights for mosquito nets. “If they are safe for babies and mothers in Africa, why are they not safe enough in Canada for a week?” 18 August 2006. 53 Konotey-Ahulu FID. Malaria and sickle cell disease. BMJ 1971; 2: 710-11. 57 Olujoungbe Ade. Bi-directional trust is needed in pain management in sickle cell disease. BMJ Rapid Response 2 July 1999 to Maxwell K, Streetly A, Bevan D BMJ 1999; 318: 1585-1590. 61 Konotey-Ahulu FID. The Sickle Achievers (2) Ghanaian Times. August 13 2005 “Some time ago I coined the term for cold season Rheumatism which Europeans call Sickle Cell Disease … The ACHEACHE Syndrome (1 ACHE from each parent”. Makes it easy for Genetic Counselling. 68 Konotey-Ahulu FID. Male procreative superiority index (MPSI): The missing co-efficient in African anthropogenetics. BMJ 1980; 291: 1700-02. 72 Konotey-Ahulu FID. G6PD Deficiency in Ghanaians. How to recognise it. Click ‘BLOG’ on www.sicklecell.md and click on January 2008 for 20 answers. 73 Konotey-Ahulu FID. WORLD SICKLE CELL DAY 19th June 2012 www.sicklecell.md/blog/?p=132 Featuring (i) The Inheritance of Sickle Cell Disease (ii) The Person with Sickle Cell Disease (iii) The Teenager with Sickle Cell Disease (iv) The Adult with Sickle Cell Disease. 76 Konotey-Ahulu FID. Management of patients with sickle cell disease. African Journal of Health Sciences 1998; 5: 47 [On Sally Davies and Lola Oni in BMJ 315: 656-60 “The Central Middlesex management protocol uses morphine infusions”] Response: “I fear Davies and Oni’s statement will make morphine the accepted drug for sickle crisis management. The consequences for such an approach are dire, especially when some UK hospitals are already making diamorphine their first choice”. And what did NCEPOD find in 2008? 81 Konotey-Ahulu FID. Clinicians facing conflicting recommendations. Use common-sense? http://ww.bmj.com/cgi/eletters/337/nov28_2/a2530#205377 December 2008. 84 Konotey-Ahulu FID. UK Drug related deaths are still rising: So where is NICE? http://www.bmj.com/cgi/eletters/sep01_1/b3536#219836 BMJ Rapid Response to S Mayor: “UK drug related deaths are still rising.” Sept 6 2009. .
http://www.bmj.com/cgi/eletters/336/7654/1152-a “I know 60 and 70 year olds (yes, sickle cell patients) who have got to that age without ever receiving this as treatment”. 90 Amanor-Boadu Dorothy, Bruce-Tagoe Alexander, Konotey-Ahulu Felix. The Third International Conference On The Achievements Of Sickle Cell Disease (ACHEACHE) Patients, Accra – 19th July 2010. Adeko Ltd, Accra ISBN: 978-9988-1-3927-8 “One known ‘SS’ man with a PhD, who had never in his 63 years been transfused though Hb level was never above 8.8 g/dL and who had never been prescribed Hydroxyurea, astonished delegates when he announced ‘I do not remember when I last took a pain killer for my sickle cell anaemia. Drink plenty of water, avoid malaria, and have a positive attitude to life’” [page 15] Quoted in full in link of Reference 85 above. [Dorothy Amanor-Boadu herself is a 59-year old “SS” Nurse Oncologist in Accra]. Competing interests: Coming from a family with 3 Sickle Cell Disease (scd) siblings I find it very difficult to remain detached when the received wisdom in the management of scd patients that was proven by NCEPOD to be harmful is still endorsed by NICE. Previous PostPrevious JFK Assassination, sermon by Dr Martyn Lloyd-Jones 24 Nov 1963 now online! Next PostNext History Versus Limits of Science: Is Solomonic Genius a Y Chromosome Phenomenon?